“I see a guy that looks strong,” says Erling. “Rashid is an experienced opponent with twenty professional fights, but I believe Kai can beat him. Kai is hungrier, and I know he will do anything to win, but this is professional boxing and when two heavy guys at a good level get in the ring, anything can happen. Erling Havnaa will take charge of Kai Robin Havnaa’s corner for his upcoming cruiserweight clash with Rad Rashid on March 2 in Arendal, after head coach Joey Gamache was injured in an unprovoked attack and left unable to travel. Havnaa faces his toughest career test as returns to the SØR Amfi to headline his hometown arena, but for the first time in his career, he must enter the ring without his coach Gamache, who is currently recovering in New York. 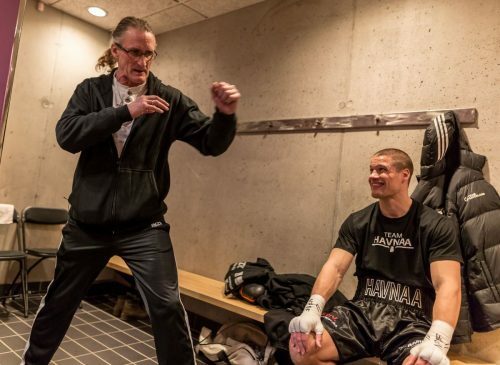 Havnaa’s uncle Erling, who has previously worked as an assistant to Gamache, will now assume responsibility as head coach, and can draw on past experience having witnessed his brother Magne Havnaa, Norway’s only male World Champion, claim the WBO World Cruiserweight title. “Now that Joey is unable to travel to Norway and be in Kai’s corner for this fight, I have no problem taking over this job and responsibility,” says Erling. “With that said, to be clear, I want Joey to be Kai’s head trainer in future, and I am happy to continue my role as assistant when Kai needs me. I think Joey is one of the best trainers in the world and the best trainer out there for Kai. Erling was a constant figure in his brother Magne Havnaa’s corner and was there to see him write his name in the history books by stopping undefeated American Boone Pultz in a rematch for the WBO World title on May 17, 1990. “For Magne’s fights, my role was to be a brother he could trust,” says Erling. “I didn’t have the same experience that I have now. He had his own trainer and a professional team around him. I helped him with some light sparring, and I was someone he could talk to and discuss different career options with. While Erling admits there are similarities between his nephew and brother, he is also quick to point out their differences, but says he believes Kai has the ability to follow in his father’s footsteps and become Norway’s next World Champion. “I see many similarities, of course, but they’re also different in many ways too. We cannot try to make Kai my brother; rather we must be honest and treat Kai as his own individual. Magne had a long amateur career, which is something Kai did not, but Kai has many strengths that are even better than my brother’s. Rad ‘Thunder’ Rashid will be looking to derail Havnaa’s promising career, but Erling is confident his nephew has what it takes to overcome the German’s challenge and continue his climb to the peak of the cruiserweight division. 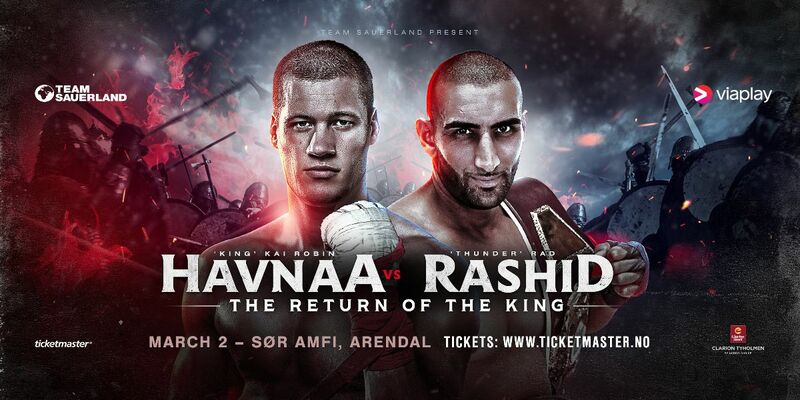 Kai Robin Havnaa returns to the SØR Amfi in Arendal on March 2 to headline his hometown arena in his toughest career test against Rad Rashid. Katharina Thanderz provides chief support with a super featherweight contest against unbeaten Brit Rachel Ball, Hadi Srour meets Zoltan Szabo, Anders Eggan faces Frane Radnic, and Jamshid Nazari takes on Ivica Gogosevic.